Perhaps you have a lot of people living in your home, or you often have people visiting you. Whatever the reason, it's not always possible for everyone to have their own key. On some occasions, it might be necessary to hide a key so that someone is not locked out, which could force them to wait several hours for someone else to return home. Having to hide a key can be a somewhat unsettling experience, and you might rightfully wonder if it's hidden well enough. Are you doing an effective job when it comes to hiding your key? What are some of the places that can be a little too obvious? These are certainly the most obvious places to hide a key, and you might as well be inviting your home to be robbed. Under no circumstances should you leave your key in such an easy spot, even if there are a multitude of flowerpots to choose from. 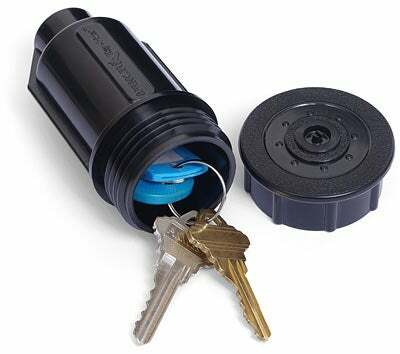 A Better Idea: Consider getting a discreet magnetic box specially designed for hiding keys. You could attach this to an aluminium drainage pipe at the corner of your home, from where your rooftop gutters are drained. It's the sort of thing that would only be found if someone was looking for it. You might have seen those fake hollow rocks that are designed to hide a spare key. The trouble is that they're not always so realistic. If there's a rock that looks out of place in your garden, a potential intruder might spot it rather quickly. A Better Idea: Take the time to hunt around for a fake rock that matches other rocks in your garden, allowing it to blend in. A fake, hollow sprinkler is also a good choice. It could be argued that hiding your key anywhere can seriously compromise the security of your home. It can be unsettling to know that a dedicated thief could perhaps find it and easily steal your possessions. 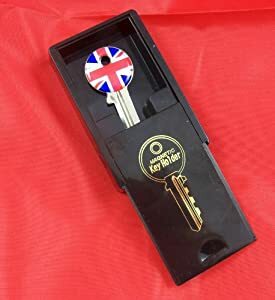 It's okay as a short term solution, but if you're in the situation where you need to hide a key on a regular basis, there are better options. A Better Idea: Keyless entry for your home. A locksmith will be able to provide your home with a method of security that doesn't actually need a key. This could be as simple as unlocking via a keypad, or a lock that can be opened by a smartphone app. You could even open your home remotely via these types of apps. So while it might sometimes be necessary to hide a key, it's not the best long term option. If it's a regular occurrence for you, you might want to think about upgrading your home to keyless locks. For more information, contact a business such as TASMANIAN LOCKSMITHS PTY LTD.